The Planet Earth Poetry reading series is a launching pad for the energies of writers and poets established and not. It is a place where words are most important. A venue in which all manner of poets and writers are welcome; a place for excellence, innovation, collaboration, diverse projects and experiments. The evening begins at 7:30 with an open mic, followed by a featured reader(s). Planet Earth Poetry is located at Hillside Coffee and Tea, 1633 Hillside Ave (across from Bolen Books). Between 7 and 7:15, put your name in the hat to read at open mic. Check out Planet Earth Poetry’s workshop! a 5-day writing retreat with Jan Zwicky. You can visit Ali’s website here. Ali Blythe is the author of Twoism, an acclaimed first book from icehouse poetry with Goose Lane. CBC called Twoism "Stunning and true," and Herizons magazine described it as "intelligent and charming, jangly and jarring, moody, dreamy and a little bit deadly." Poems from Twoism have been published in literary journals and anthologies throughout Canada and in Germany. Lynda Monahan’s newest poetry collection, Verge, was published in the spring of 2015 with Guernica Editions. She is the author of two previous collections of poetry, A Slow Dance in the Flames and What My Body Knows, both published by Coteau Books. Her work has been published in many Canadian and American literary magazines and anthologies and broadcast on CBC radio. She facilitates a number of creative writing workshops and has been writer-in-residence at St. Peter’s College facilitated retreat and at Balfour Collegiate in Regina. She facilitated the teen writing camp for Sage Hill Writing Experience. She is editor of several collections including Second Chances: stories of brain injury survivors, With Just One Reach of Hands for the CMHA Writing For Your Life program and Skating in the Exit Light, a poetry anthology. She has served on the council for the League of Canadian Poets and on the board of Sage Hill Writing Experience and the Saskatchewan Writers Guild. She is currently writer-in-residence at the Victoria Hospital in Prince Albert, Saskatchewan. Back in the Neolithic era, a professor told Peter Midgley he showed promise, but that needed to learn his craft. To make good on that promise, he has spent decades doing just that by becoming an award-winning editor and by continuing to practice being a writer. He has published three children’s stories, and has had two of his plays performed. His second collection of poetry, Unquiet Bones, was published in 2015. It follows less than a year after his travel memoir, Counting Teeth: A Namibian Story (2014). Both books are available from Wolsak & Wynn. These days, the only promise Peter commits to is to continue learning his craft. More about Nora Gould at Brick Books. 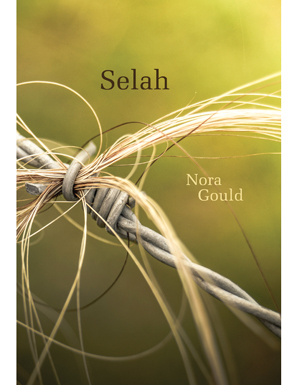 Nora Gould writes from east central Alberta where she ranches with her family. Her previous poetry collection, I see my love more clearly from a distance, was published by Brick Books in 2012. Selah (Brick Books) was published in 2016. Please note: This reading is NOT at Hillside Coffee and Tea. 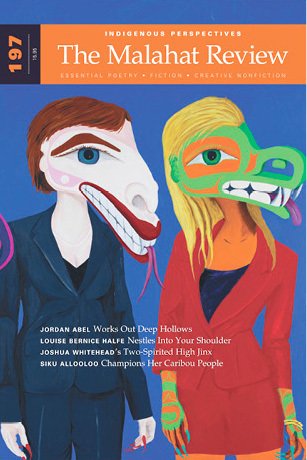 Ticket includes a complimentary copy of the Malahat‘s latest issue, Indigenous Perspectives. All proceeds for Words on Ice will be used for payment toward WordsThaw Writers Festival authors. 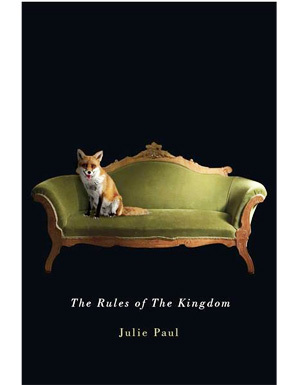 Julie Paul has published two collections of short fiction, The Jealousy Bone (Emdash, 2008) and The Pull of the Moon (Brindle & Glass, 2014) and the newly-released poetry collection, The Rules of the Kingdom (MQUP, 2017). The Pull of the Moon made the Globe and Mail’s list of Top 100 books of 2014, was awarded a bronze IPPY award and won the 2015 Victoria Book Prize. She writes and lives in Victoria, BC. At turns humorous, playful, contemplative, and coy, the poems in The Rules of the Kingdom question the vagaries of faith and family but ultimately celebrate life and love. Cemetery Compost's poems are by turns garrulous and gnomic, playful and foreboding, tender and raucous, delving deep into our daily contradictions and divided natures. Treading a taut line between bemusement and despair, they tiptoe through the unexploded ordnance of time. Dissolving distinctions between heartbreak and humour, politics and pets, mortality and the taste of a single strawberry, these poems reveal our inner and outer worlds as—thrillingly—one and the same. Cemetery Compost is Murray Reiss’s second book. His first, The Survival Rate of Butterflies in the Wild, won the Gerald Lampert Award in 2013. Reiss brings his poetry to life on the stage as well as the page as a Climate Action Performance Poet and founding member of the Only Planet Cabaret. He's lived on Salt Spring Island since 1979.
runner-up for the Rattle prize in Los Angeles. In addition, she has won the Descant Winston Collins prize and placed or been shortlisted in poetry contests sponsored by Canada Writes, Arc, Antigonish Review, Fiddlehead, CV2, Freefall and Room. 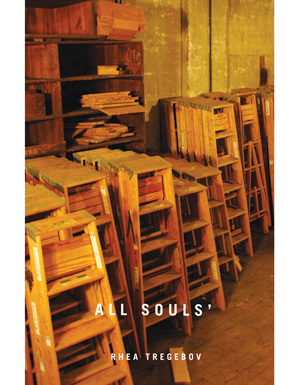 Rhea Tregebov’s seventh collection of poetry, All Souls’, was released by Signal Editions/Véhicule Press (Montreal) in September, 2012. Tregebov’s previous volumes of poetry include: Remembering History (1982), No One We Know (1986), The Proving Grounds (1991), Mapping the Chaos (1995), The Strength of Materials (2001), and (alive):Selected and new poems (2004). Her poetry has received the Pat Lowther Award, the Malahat Review Long Poem prize, Honorable Mention for the National Magazine Awards and the Readers’ Choice Award for Poetry from Prairie Schooner. Tregebov is also the author of an historical novel, The Knife-Sharpener’s Bell (Coteau 2009) which won the Segal Prize in literature and has been nominated for the 2012 Kobzar Prize. Tregebov studied at the University of Manitoba, Cornell and Boston University, where she earned a Master of Arts degree in English and American literature. She is now an Associate Professor in Creative Writing at UBC.